In addition to our standard product range we design, develop and manufacture customised pumping solutions. 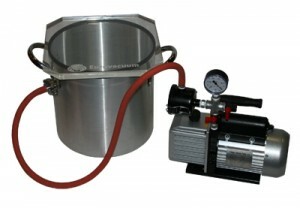 Degassing systems: Eurovacuum Products De-gassing Vacuum Systems are used to remove air from a high viscosity materials before using. Particulary useful when casting clear materials. These easy to use vacuum desiccators chambers are from thick wall aluminum and have a see-through lid on the top. Designed in mind for the versatile mold maker. These chambers can be used for the laminating processes where the vacuum pump should be protected from the resin that might enter into the vacuum piping. For these applications the chamber will be build with a second hose connection piece. Our skid mounted products are designed and engineered in order to fulfill special requirements of different market segments. 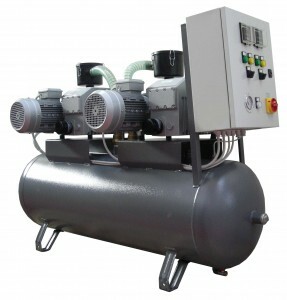 Packaged systems are designed on customer’s requirements and are equipped with our vacuum pumps using the latest technologies and industry standards. For oil and gas application, pumps are manufactured according to API 681 (1st edition) standards.